Filed Under: Load cell, Packaging Tagged With: HBM, Inc. In this Frank Talk about Sensors, Randy Frank talks to Valerie Rothermel-Nelson of Honeywell about a new value added program for sensors. To access the discussion, click here. For more information about the Honeywell value added program, click here. 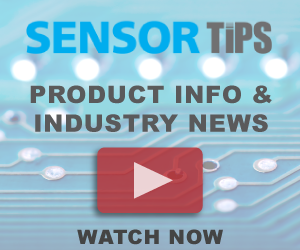 In this Frank Talk About Sensors, Tim Shotter of All Sensors discusses the capabilities of a new line of low voltage, low cost digital pressure sensors with Randy Frank. To watch the video, click here. For more information about All Sensors DLVR series digital pressure sensors, click here.